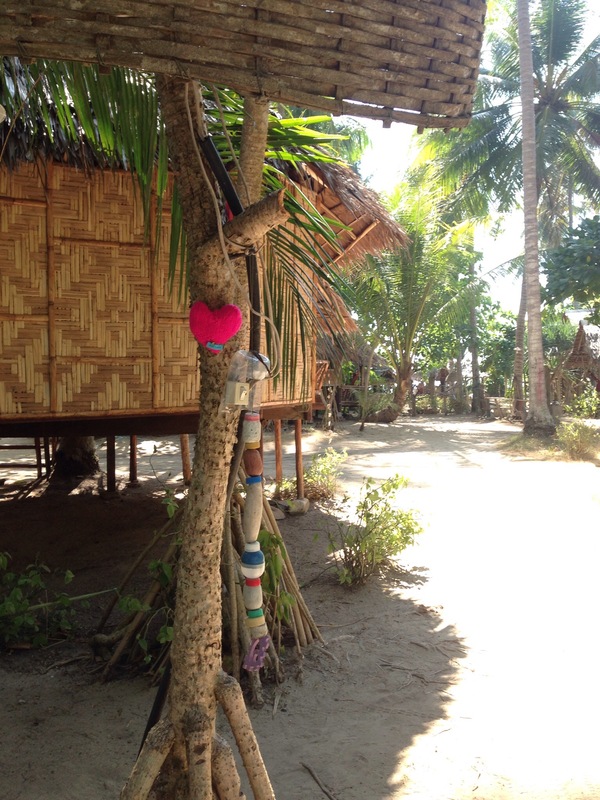 I have been leaving hearts all over Thailand. They have allowed me to express gratitude for the unending warmth and kindness that has been extended during my travels with a symbol that is universally understood, and at the same time communicate my sense of each place. The first one was on Koh Mook, left behind under the cover of darkness, at my favourite restaurant, The Seaview and it came with a message of thanks. Koh Mook is a small island off the south west coast with no roads but plenty of impressive hikes and swimming spots. The Seaview became a daily pit stop en route to my chosen activity of the day (insert hammock, swim or hike). Not only was the food delicious it was also incredibly inexpensive, ranging in price from $2-4 Canadian per dish. As a result of this daily ritual, which obviously included plenty of multiple visit days, the Seaview also became an informal language and cooking school. Next up was Koh Jum, another island, slightly north yet still in the same region. See below for orientation and note that we are travelling north. 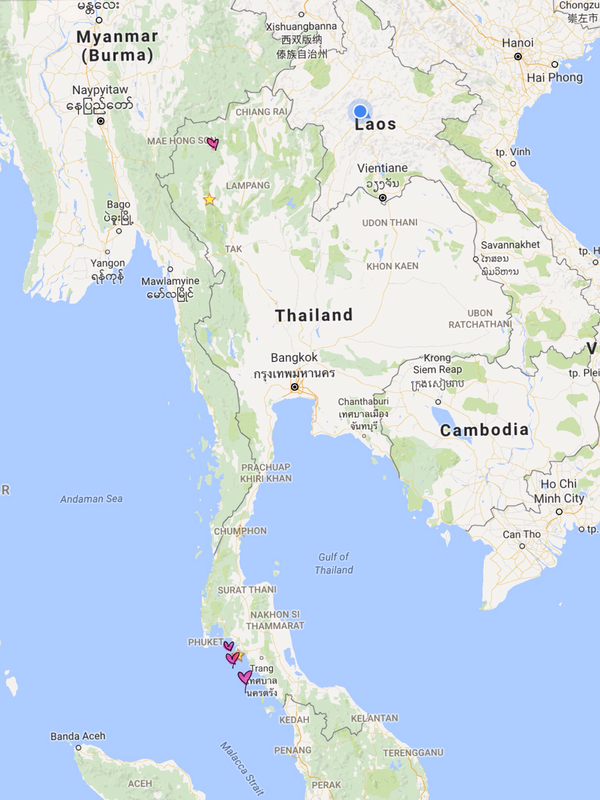 Also, please ignore the locator in Laos for the time being (a Laos centric post is in the works). Thailand is a highly spiritual place with over 90% of the population practising Buddhism. Representation of this belief is visible through the many wats, temples and shrines that mark populated areas and the ribbons affixed to the many long-tail boats and tied around trees. 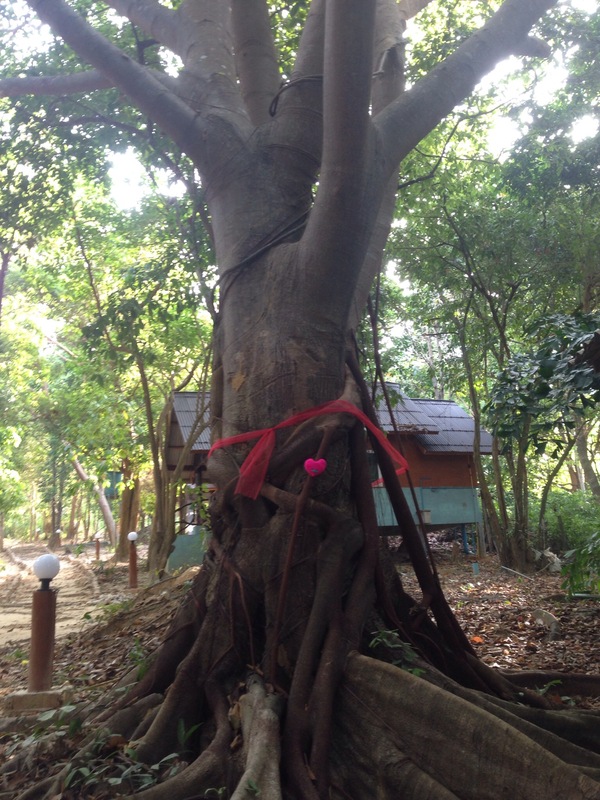 Thai’s believe spirits reside in old trees and ribbons are tied round them to keep them happy and peaceful. Other offerings can often be found such as food and drink, and now a little Rock Vandal heart joins the team. 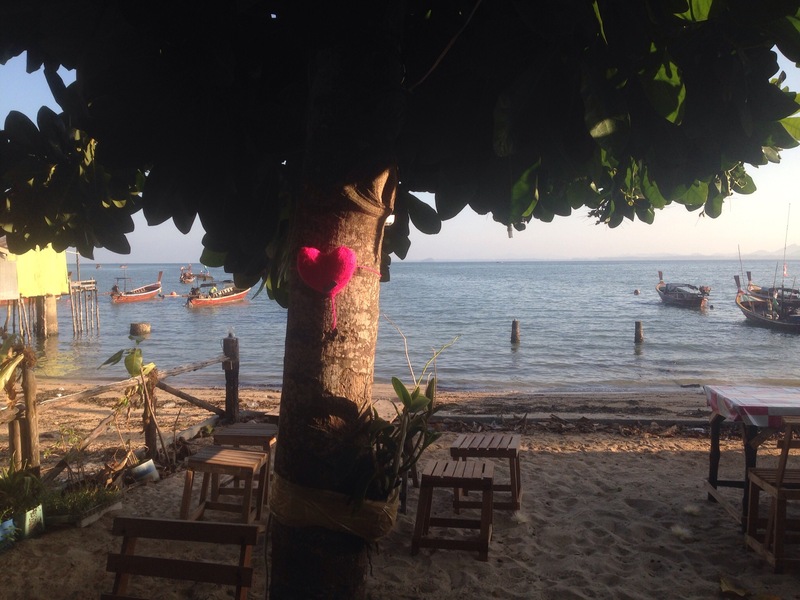 A third heart was left on the island of Koh Lanta. Thailand has hundreds of islands, all of which cultivate their own island-identity, with Koh Lanta becoming known for its ‘friendly energy’. 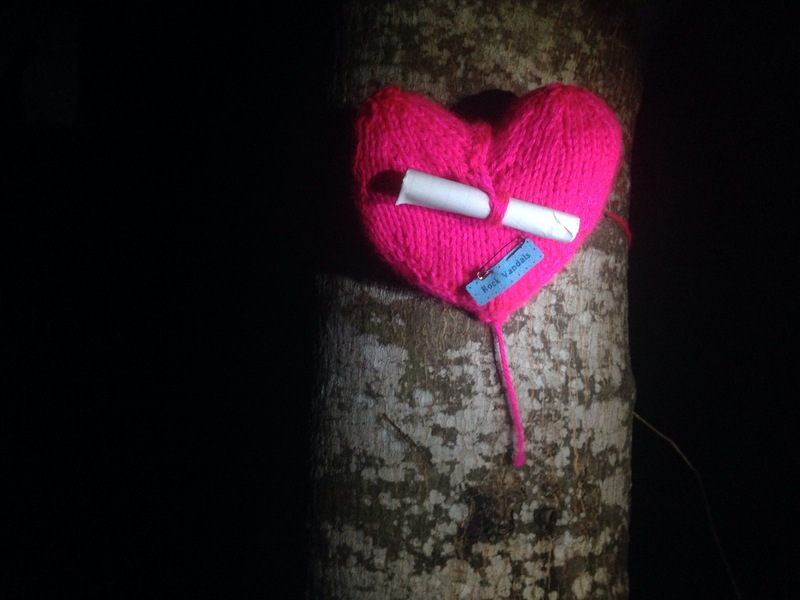 The pink heart is intended to contribute to this vibe, communicating non-verbally to it’s wide range of international visitors who hail predominantly from Sweden, Germany, China, Russia and Switzerland. 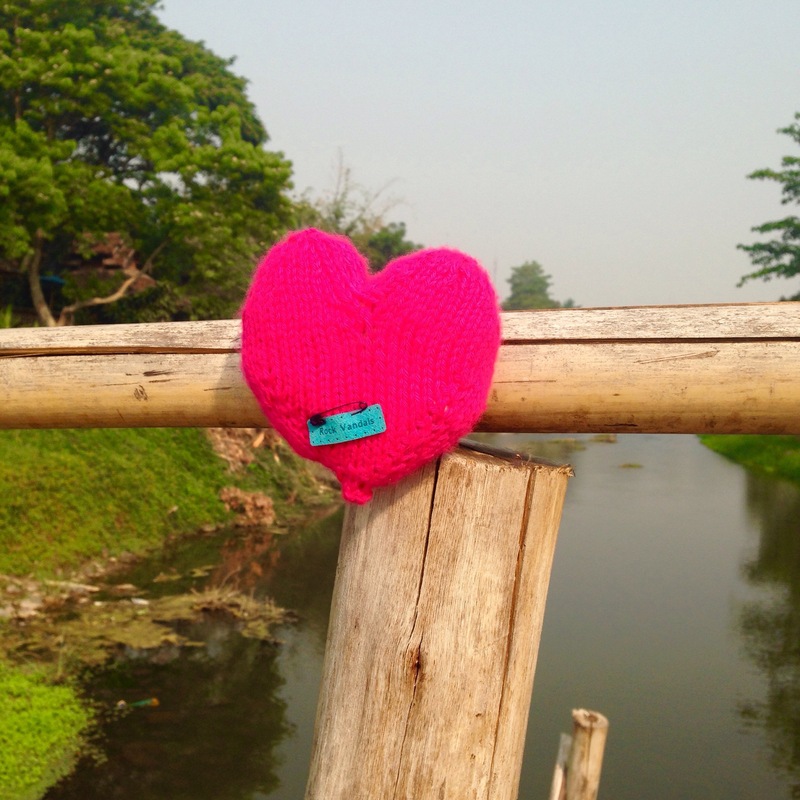 The fourth heart was left in northern Thailand in Pai. I had been looking forward to visiting Pai since leaving Canada on account of rumours of a free circus school and while it did not disapoint, Pai was not quite what I expected. A thriving backpacker haven, Pai felt like the sort of place where you ride the lightening. 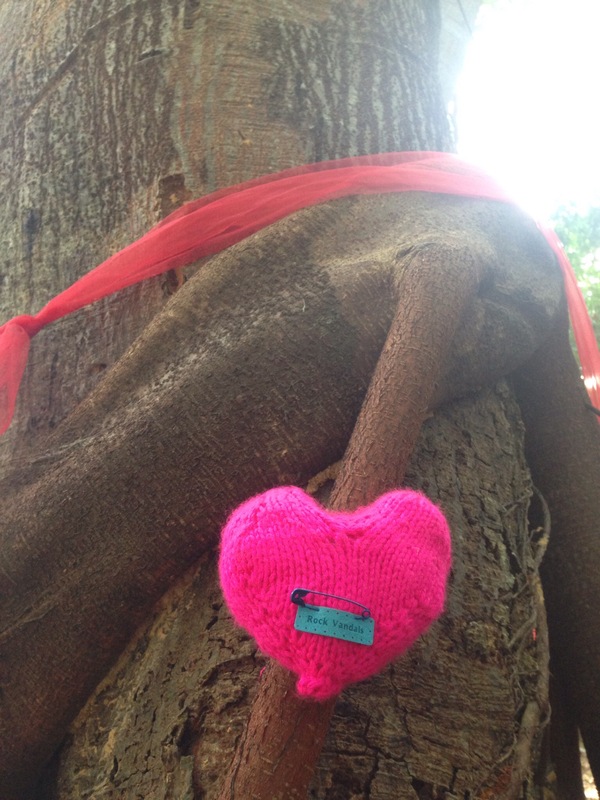 When I installed the fourth heart at 830 am, I learned that I was not the only one who felt it. 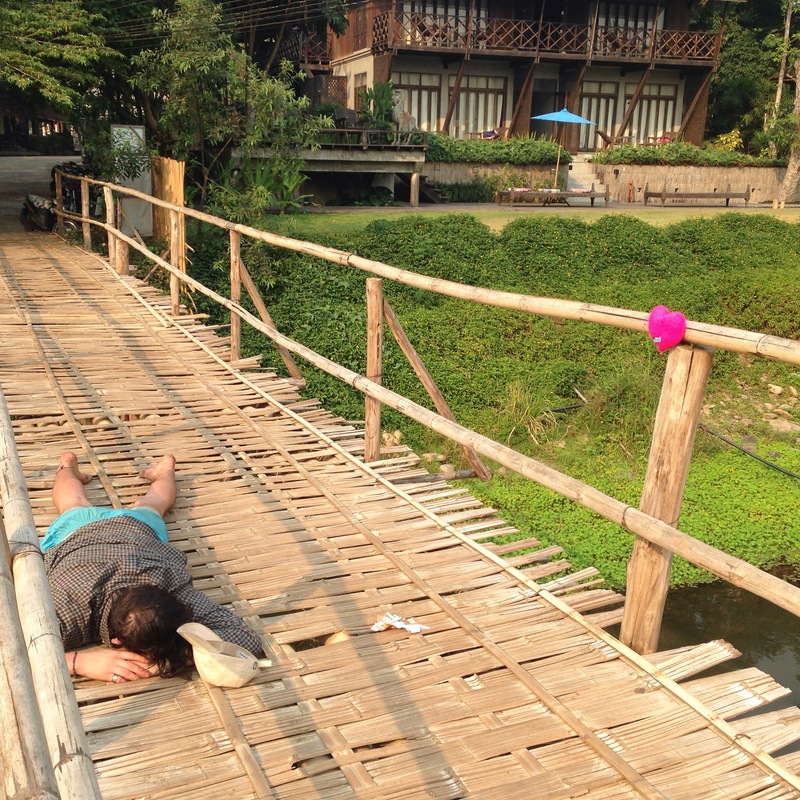 Thus the fourth and final heart was left on the bamboo bridge with the hope that all who pass it will take good care of themselves and their companions.